IT'S NOT A PARTY WITHOUT SWEET TUNES! Sweet Tunes Entertainment was formed from a passion for music and entertaining people while creating fun and memorable experiences for all occasions. Rick and Joe have years of experience in the hospitality industry and understand what it takes to make your events successful for all ages. Rick is a piano and keyboard enthusiast and from there expanded his passion for music and entertainment while performing in a successful group “Double Trouble” in Central Illinois before moving to Florida. Rick is known for his outgoing personality that enables him to get everyone involved at all functions. Joe, also from Illinois, has musicians in his family and enjoys music from all genres. Joe likes to mix it up while entertaining ranging form the oldies to current hits. 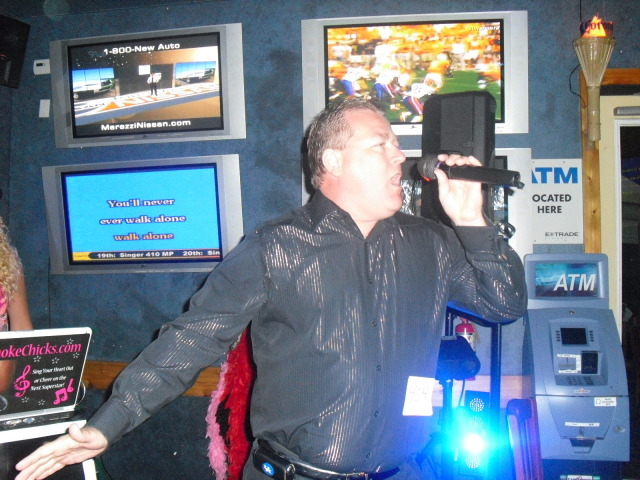 Joe loves to sing anytime and will keep you moving on the dance floor! Sweet Tunes offers the best of karaoke and music personalized to your event needs. Rick and Joe will even sing a live show!! They can often be found doing this at local restaurants, clubs, nursing homes and gated communities. Sweet Tunes has the best equipment available including items by: QSC, Peavey, Yamaha, Numark, and Shure. We strive to have quality equipment in order to give all of our clients the best possible sound in both the music that is played and sung. Come out and check us out, you are sure to have a blast! We are available for weddings, parties, or any of your entertainment needs. Sweet Tunes is currently available for hire. Come visit the Sweet Tunes store at Cafe Press! Copyright 2009 Sweet Tunes Entertainment. All rights reserved.